Rebound insomnia has been reported upon discontinuation of benzodiazepines. 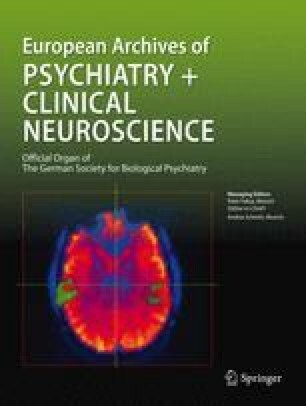 We describe the first case of a sleep polygraphically documented rebound insomnia with an unusual somatic fatigue syndrome after long-term use of clozapine in a 30-year-old schizophrenic male. The withdrawal symptoms occurred the first day after drug discontinuation and could be stopped by readministering clozapine. In our opinion, the sudden occurrence of the withdrawal symptoms cannot be explained by a dopaminergic hypersensitivityor a cholinergic rebound, but indicates an involvement of GABAergic and perhaps antiglutamatergic properties of clozapine.